a bespoke programme of business training in healthcare innovation and entrepreneurship. 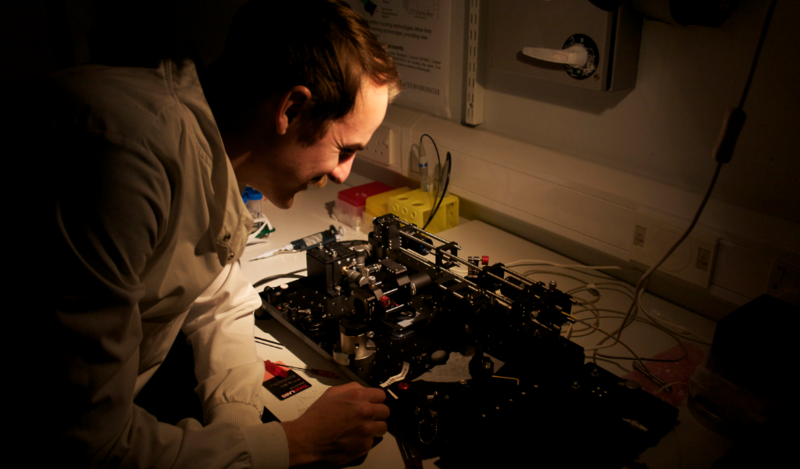 OPTIMA is a Centre for Doctoral Training (CDT) funded by both the EPSRC and the MRC in recognition for our use of cutting-edge optical technology to address key clinical questions via medical imaging. OPTIMA is hosted by the University of Edinburgh and the University of Strathclyde. Having delivered training to OPTIMA students in the past I realise they are especially gifted in their outlook and skill set – most working on interdisciplinary projects. They therefore have a more open minded approach to research and are not averse about investigating different avenues in order to progress their research. From the point of view of Vivomotion (a science animation company), I realise there may be some students who are particularly interested in using animation for their projects and it would be an opportunity for them to develop this skill. A new paper by Dawn Gillies (OPTIMA 2015) and colleagues was recently published on the use of hydrostatic pressure to monitor how 'squishy' cancer cells are compared with non-cancerous cells. This was the inspiration for the Squishy Cancer public engagement with research project, piloted for the first time at the Botanic Gardens @ EXPLORATHON 2018. More information can be found by following them on Instagram and and Twitter.